Launching a podcast is a lot of fun! I’ve really enjoyed hearing from people who discovered the show following last week’s first episode. This week, I talk with my friend Sarah Hawk, who I’ve known for many years, even before she joined the community industry and became a respected member of it. She is now the head of community at FeverBee and manages community efforts for UXMastery. Sarah Hawk is a community strategist and platform specialist with more than a decade of experience managing technical and UX communities. 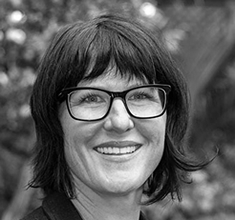 Now head of community for FeverBee, Sarah manages FeverBee Experts and is passionate about the psychology of community. Currently working in that magic place where technology and people collide, Sarah loves helping people to build addictive community platforms. She’s on Twitter at @ilovethehawk. 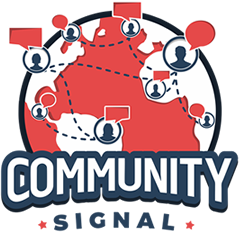 Welcome to Community Signal, the podcast for online community professionals, sponsored by Emoderation: smart social, globally. Here’s your host, Patrick O’Keefe. Patrick O’Keefe: Hello. It’s great to be back for the second episode of Community Signal. Thank you for listening. This week, we’re talking to my friend Sarah Hawk. Sarah is a community strategist and platform specialist, with more than a decade of experience managing technical and UX communities. Now Head of Community for FeverBee, Sarah manages the FeverBee Experts community, and is passionate about the psychology of community. Currently working in that magic place where technology and people collide, Sarah loves helping people to build addictive community platforms. Sarah, welcome to the program. Sarah Hawk: Thanks very much. It sounds amazing when you put it all down like that. Patrick O’Keefe: I do my best. I feel like that’s a radio voice. Patrick O’Keefe: On the first episode of Community Signal, I spoke with Bill Johnston, who went to school for a fine arts degree in Graphic Design. You have a Bachelor of Design in Interior Architecture. I’m sensing a trend here. Patrick O’Keefe: How does your degree inform your work, if at all? Sarah Hawk: Yeah. That’s a really good question. It does in a vague and abstract way, I suppose you could say. Yeah, as you said, my degree was very focused around physical architecture, very little to do with computers at all, although I did a bit of CAD design towards the end. I think that it’s given me focus in the way that I think on a holistic level. I approach problems pragmatically, I think, and with a bigger picture of mind, which is really useful for any kind of design. A big part of what I do now obviously involves web design, UX design, platform design, and design itself is a process that you follow regardless of what the end product is. It definitely gave me a good basis for thinking big picture, I think, would be fair to say. Patrick O’Keefe: It’s just a different type of architecture. Sarah Hawk: Exactly. Yeah, it is. Patrick O’Keefe: I want to talk about how we met, because I’ve known you since before community was your profession, going back to our days as volunteer staff on the SitePoint Forums. To oversimplify it, you joined a forum, you were invited to the volunteer staff based upon your contributions to the community, and you accepted that role, and due to that, passage of time, you ended up with a job running community for SitePoint, and some of their portfolio brands. It’s a story that I’ve heard before, and I really believe this is how many of our really greatest professionals enter our industry, yourself included, by joining a community and getting involved. Patrick O’Keefe: Interior architecture. I’ll tell you right now. Stick to that one! Sarah Hawk: Exactly, any kind of design. Yeah, and I think we’re in a really cool place in the sense that lots of industries do come in with a very heavy kind of bottom triangle, where people have done lots of education, and they’ve got lots of theoretical knowledge, but very little experience, and they need to try and work their way up to the pinnacle of that triangle, where they have both. I think that in the community space, we’ve got the opposite. We’ve got a whole lot of people that have got a ton of experience and have really learnt things on the job, and are now in a position where they can create the educational resources and guidance for people that are coming through. I think that that’s a nice approach to an industry, especially one that is changing so frequent, and is really people-centric rather than process-centric, so that’s been interesting for me. Back to original point, yeah, I did. I came up through the community space. I started at SitePoint while I was writing code for Xerox, actually, and yeah, the community supported me in learning all of that job while I was doing. To have that free, ongoing, hands-on support really changed my life, I think, having the ability to ask people around you for support without having to necessarily ask people at the next desk, especially when you’re trying to prove your worth to a business. Yeah, I really liked the support that I found from the community, and then yeah, just really enjoyed giving back ideas, but more so really getting to work with people. I am starting to find that I enjoy the social sites aspect of it, so I enjoyed what it was that was bringing people together, and what it was that was motivating to help each other, and to work together outside of their actual jobs. Yeah, as you say, I moved up through those ranks, and found my niche, finally, after architecture and programming. Yeah, and here I am. Patrick O’Keefe: In coming up as you did through the community, it’s not always possible to find someone who is one of us, to lead the community. It’s not always possible. In fact, most of the time, you might have to go in another direction. You hire someone based on their job qualifications, or, not to say you weren’t qualified, but you had an extra-special qualification that made you uniquely to the role at SitePoint. You were one of us. You were a member of the community, and it really lends a certain credence, a certain credibility and to your point, a more understanding, supportive, forgiveness, in some cases, I would say, from the community. They know you already. Sarah Hawk: Yeah, very much. Very much so, and I think that these days, we focus a lot on the skills that we have and the reading that we do, but so much of this really is just about learning, and about having the guts to try things out, and to really get your hands dirty, and be a part of what’s going on in your community. As anyone that’s managed more than one community knows, they’re all so different, and what works for one just doesn’t always work for another. Yeah, I think having gained the value in the first place from the situation that I am now trying to build and create for other people was just hugely valuable for me, as you say. Being one of us was really key for me, I think. Patrick O’Keefe: I think it’s easy to underestimate the experience that volunteer moderators pick up, especially when they work under at least a competent community professional or manager. I believe that any one of my moderators could have a career in community if they wanted it, and I’ve told them that before. I’ve told them, “If I could make some calls, and see if you could find some sort of introductory role, where you could grow into the job,” but it’s very much on the job training, even though it’s a volunteer role, not unlike volunteering serves as work experience for someone starting in a career. Sarah Hawk: Right. Agreed. I think you arm yourself with safety rules and things that protect yourself in your community, and then the rest of it is just jumping in, and having a go, and finding … A lot of it’s finding the right team to work with, and creating strong relationships with the rest of the moderators in your team. You can’t work in any job if you don’t get on with your boss, so again, it’s got to be a group that gels, but we know that managing volunteer communities is a challenge in itself. In the same way, so is being a volunteer. You give your time for nothing, and you want to do the best job that you can, but you’ve got to be realistic about your life, I guess, and fitting a job around your volunteer work, and your volunteer work and around your job, and still pulling your weight. I found I was really fortunate to have had SitePoint as my first experience, I think, because it was such a huge team of volunteers to manage, and so I learnt a whole lot of the skills that go with managing people, as well as managing community, and I think that’s stood me in good stead. Now I don’t manage any volunteers; it’s just me, but I feel equipped to advise other people on there, which has been helpful. It’s a very different way of working, and a challenging way of working. Patrick O’Keefe: Going back to when you started at SitePoint, I really felt that you were special, and a really great professional. It’s been a lot of fun to watch other people acknowledge that, and for them to see what I and probably many others saw way back when. I’ve enjoyed watching you grow as a professional to where you are now, well-respected practitioner of our field, and deservedly so. Patrick O’Keefe: Get with it, Rich. Sarah Hawk: I think what it does is it makes you approachable, and that’s one of the most important aspects of community management, I think, or of being a community manager. People need to be able to approach you, and there’s nothing more daunting than joining something for the first time and not knowing what the rules are, and not knowing where to go, and not feeling like there’s somebody there that’s just going to whack you on the back and say, “Hey, it’s all good.” Yeah, I’ve always tried to take that with me into jobs, and I … It can’t be contrived. Kiwis have that kind of nature to a degree anyway, so it’s not something I’ve ever really had to work at, but it has worked for me. Patrick O’Keefe: Awesome. I’d like to pause and talk about our sponsor, Emoderation. Who’s social media is better – yours or your competitors? Emoderation’s social media benchmarking helps you figure out you how your brand stacks up against the competition and how you can improve. Using only the metrics and benchmarks relevant to your brand and industry, Emoderation can give you the insights to make smarter decisions for your social media. Head to emoderation.com/benchmarking to find out how you can measure and improve the impact of your brand’s social media. Speaking of Emoderation, when you left SitePoint, you worked with Emoderation for a while before moving to FeverBee. You made the switch from brand side, at SitePoint and their portfolio brands, to agency side, which you’re still doing now. This is something that a lot of community professionals think about. What impact did it have on you as a professional? Sarah Hawk: It’s like all my worlds colliding. It was hugely beneficial for me, in terms of rounding out my toolbix, if you like. I found it wasn’t well-suited for me in the sense that I was used to having my own voice, and working for an agency where numerous people work on the same brand means that kind of brand cohesion was very important. I felt a little bit like I lost myself in the job, which is why I didn’t stay, but I would still highly recommend getting that kind of experience, to any professional that wants to work within community management. There’s so much to be learned. I loved my time at Emoderation, but I guess I’m more of a lone wolf, in the sense that, if there is such a thing in community, in the sense that I like to be able to try things, and figure out what works. I like the flexibility to pivot fast if something isn’t working. I don’t like to have to go through miles of red tape to make a decision, and I found that I was a little bit restricted in the way that I work when I was doing agency stuff. Having said that, I worked for some really cool brands, and with some really cool people, and there’s no doubt that that has had an effect on the way that I think now, and the way that I advise people. Yeah. Yeah, I feel fortunate to have had that experience. Patrick O’Keefe: I think it goes without saying, what you said makes sense. It’s fairly normal. When you are working on an agency side for a big brand, a Fortune 500, or a general, mainstream consumer brand, they don’t really want your voice, to some extent. They have a brand voice, and a certain way they … They just want you to perform a service, and I think that’s part of the role. It’s part of the profession, and then, as you said, I think it was probably an interesting amount of experience, in something you apply. It sounds like now you have more of a hybrid role, where you are both, because you have the FeverBee brand and the Experts community, which you’re responsible for and you’re building, but it also sounds like you sit in and participate in some of the consultancy stuff as well. It sounds like you’re doing both, right? Sarah Hawk: Right, and I am. I’m very fortunate. I think I’m probably one of the few people that have the opportunity to do both of those things these days. Yeah, so I get to practice what I preach, but there’s also so much value to be had for me in consulting, because you’ve really got to refine your knowledge if you’re going to put that on somebody else’s plate, or teach them how to do the things that you do yourself. I do like to keep my hands in. I am a community manager, and I can’t imagine not doing that as well as consulting, but it’s just awesome when you … I was amazed with one of my clients recently, and she was asked a question, and she answered, and I heard my voice. At first I was like, “Whoa. That’s really weird.” Then I’m like, “No, she’s listening to me,” and I felt really proud. It’s nice when you realize that the stuff you’re saying is sinking in, and that people really believe in it, and so yeah. I feel grateful to have the opportunity to pass on my knowledge while still continuing to practice it, because I think that it’s very easy to forget that things are changing so quickly, and that if we don’t keep practicing ourselves then we can’t really be in a position to be teaching other people. I think that not just the types of community that we work in, but the way that communities in general are working these days, and the way that businesses respond to communities is changing so quickly that yeah, we need to be able to keep flexing our muscles, really, when we’re teaching other people. Patrick O’Keefe: Yeah. I think even if you’re someone who is strictly consulting, just having a community on the side helps keep you grounded, I think. Sarah Hawk: Right. I’m fortunate enough to have two communities on the side. Sarah Hawk: Yeah, I’m still managing a community for UXMastery, which is really informing my work at FeverBee as well, and vice versa, so I get to use my FeverBee skills to manage the community for UXMastery, and my UX skills to maintain our FeverBee site. Yeah, and that’s defining the niche that I’m working in a little bit more these days, too, specifically community, platform UX as you mentioned in my intro. I’ve said it about ten times in this podcast already, but I just feel really grateful for all of these different kinds of threads that build up my workday. Patrick O’Keefe: It’s good to be grateful. Getting to that point, I know that, again, one of your focal points, because you said it, and I know it, is platforms and community software. For as long as I’ve been in this space, which is a long time, people have been asking, “What’s the best software?” I’ve always disliked that question. It’s just the worst. It’s just the word vague question that exists. Sarah Hawk: Right. It is. I was going to say, yeah. I try to be platform agnostic. I have biases towards types of especially open source software, because it’s my background, and partly because I personally like the flexibility that it gives people, but I don’t think, as you know, there’s no best software. It’s a needs analysis situation, but yeah. I’m really excited by the number of different emerging platforms and technologies that we’re seeing come out over just the last year. It’s amazing. Discourse started to lead the way, but there’s so many different options now, and I like that as … I accept that lots of people would just love to have a platform put on their plate, and on their lap, and run with it, but I personally like to have the flexibility to customize it, and to make it into an experience that is enjoyable for people. Community for me isn’t just about the people. It’s also about the experience. We spend so much time on computers, and in a community, we spend so much time reading content, and interacting, and if that experience isn’t a good one, then how can we expect people to create a habit? Yes, an it’s exciting time for me. Patrick O’Keefe: It feels like there are three tiers of software. Free and open source, low cost, a few hundred or less, and then hit the gas pedal and you end up at enterprise. Patrick O’Keefe: Obviously if someone’s coming to you and they’re paying FeverBee, they probably have a few bucks, and I’m sure that influences the decision. Budget always does, but how do you help people choose? Sarah Hawk: Yeah, good question, and you’re right to a degree. They do have money, but it’s not always money that they want to spend on a platform, and that’s great. Yeah. We always start with … The biggest question is how much support do you need and how to maintain your platform, because it’s great to get someone to build something for you, but if you can’t manage it yourself then there’s no point in having it. Yeah, I always focus on the amount of in-house tech. I focus on the brand, whether or not an open source platform is a cohesive brand message, or whether enterprise, whether you’re slick, and you’re fast, and enterprise is going to be a better option for you. I also look at how big a role content plays on your platform. If you want blogging built in, then you’re automatically limited to a smaller number of options. We go through a long needs analysis with clients. I always, I guess without meaning to, tend to think in open source. Patrick O’Keefe: Right. Yeah, I’m the same way. Sarah Hawk: Yeah, mostly, as I said, from my background, but also in my experience, I tend to steer people away from vBulletin, and I will continue to do that. Otherwise, yeah. I don’t think it’s any secret that Discourse is my personal platform of choice, and yeah. As you know, I implemented that at SitePoint and have now gone on to do so at FeverBee, but it’s certainly not for everybody. Patrick O’Keefe: Is there a feature that you’d really like to become standard across community software, possibly a feature that you have had custom written yourself? Sarah Hawk: There definitely is. I haven’t had it custom-written myself, but it’s very limited to certain platforms at the moment, and that would be push notifications. I think that yeah, one of my areas of interest right now is persuasive technology, and finding ways to help community managers or businesses to make their platforms, and to have it so people … As we know, that’s the holy grail of community management, make your platform a habit, but there are technological ways that we can do that now, as well as the old psychology approach. Push notifications is one of the newer things that we’re seeing down the street. People just don’t have time in their day to do everything anymore, so they tend to filter out the bits and pieces, the extraneous noise, I guess you could say, and emails are one of those things for lots of people, and anyone that’s pushing for inbox zero gets rid of the shopping emails first, and even the notification emails second. I’m finding ways to try and notify people of valid content, or of interesting content, without going through their inbox. Push notifications that are usually triggered by ad tagging or, probably to be fair, the key to good notifications is to give people flexibility to set them however they like. If you’ve used Discourse lately, and you’ve got your desktop notifications working, it’s just about impossible to ignore one of those things, which, from a persuasive technology standpoint, is exactly what we’re trying to do. I also love the favicon counts, so similar to the way that Facebook do it, you can see a number of notifications waiting for you just sitting up next to your favicons, so it doesn’t matter what tab you’re in. You know that someone’s looking for you. Yeah, my current focus, as I said, is around notifications, and I would recommend for any community manager that’s having trouble with upkeeping of engagement, that you look at your notification systems. If you’re on an open source or WordPress-based platform, it’s easily enough done to get a plug-in read in, or probably to find one. WordPress has lots. I’ve also more recently discovered that there are a whole lot of add-ons for platforms like Drupal that people don’t even realize. I think if you’re on an enterprise platform, you can almost certainly get something done. I couldn’t possibly name the ones that do and don’t do that at the moment, but I would recommend that people do some research, because I suspect you’ll find that there’s a lot more out there that you can do with your platform than you currently realize. We’re hamstringing ourselves with our legacy setups. Patrick O’Keefe: That’s really true of any great platform. Coming from the open source world, and obviously, noted your biases, but coming from the open source world, the great open source projects and phpBB back in the day, had these amazing communities of people who made so many customization. It wasn’t limitless, but it felt that way sometimes, because there’s, “What feature do you want? Well, here’s a million.” I think there’s a danger of choice, there’s a danger of overload. Platform diversification, platform death, and all that fun stuff, but the features are there, and I think that’s true today of any really great community software option, is it has its community of people making stuff for it. I’m always leery of getting involved with anything where the add-ons are all premium and made by the company that makes whatever it is. It doesn’t have to be community software. It could be anything. It feels so limiting. Sarah Hawk: Agreed. I think that a fear of software and a lack of understanding often means that we just walk away and go, “Oh, I’ll just stick with this status quo. It feels easier.” Yeah, I recommend research. Patrick O’Keefe: You mentioned something modern, push notifications. I’ve always been on platform fenders to work on the word sensor. It’s such an old thing, but no one bothers with it. I’m like, “Can you do something with this?” I’ve always been beating the drum on what I call “censor block,” which I came up with like ten years ago, and had it written for me, where when a post triggers a sensor, the user or the member is told about it, and their word is highlighted, and they’re given the chance to edit it and then submit their own post. Though it wouldn’t work for all communities, for many communities, it would be pretty darn great. I know on my communities, it’s reduced the removals tied to profanity or vulgarity to basically nothing. I think a knee jerk reaction is, people will circumvent it, and yes, it happens, but for most decent communities that are well-moderated, that’s not really that big a thing. Not everyone is at the scale of Dell, or Lego, or whatever. Most people run communities that are much smaller, and I’d love to see the censor innovated on a bit. Sarah Hawk: Yeah, it’s an interesting one, isn’t it? I think, as you say, it depends on the type of community. That would have been incredibly helpful in a community like SitePoint. Not so helpful in my current community. Community managers don’t tend to do a lot of swearing at each other, thank goodness, but yeah. I guess what you need to do is put it in front of somebody that’s been part of one of those communities, and they’ll see the value immediately, as you do. It’s interesting. I think the other thing that I’m finding interesting, one thing that we did commission when we built FeverBee was, we’re pulling posts from our community from Discourse straight onto our WordPress homepage. The idea is that people would see the avatar showcased on our homepage, and it would be a driver to create more content on the site. It’s interesting, because it hasn’t really done so. We’re finding that people that belong to the community come straight in and use the community. People that read our content, they get emails and read it via emails, and people that just come to our homepage to look for information aren’t necessarily the same people that are doing the posting. I think often, we jump in and build things. Again, we can’t get past our own biases, and we make assumptions about the way that people are going to use our site before we actually spend time watching and testing. I think that, again, my take along the customization road would be, don’t assume that people are going to use the site the way you do, or the way you want them to, because people just don’t work like that. Patrick O’Keefe: You probably don’t need blogs built in, okay? You probably don’t need that. No, I’m just kidding, but it’s often true. Patrick O’Keefe: I want you to be greedy. I want you to want more. I want you to have a community that is both visually appealing and has a high level of discourse, and I don’t think visually appealing is all that hard, especially these days. It’s pretty accessible, like what you discussed in your presentation. Font choice, color, simplicity, these things go a long way. Sarah Hawk: They do, and I think we’re lucky these days, because we do have more flexibility, but we also are under more pressure, because web experiences these days are getting better, and better, and better, and there’s little excuse to have a bad web experience. Unfortunately, I think we find that community ones do tend to frequently have bad experiences, because they’re so antiquated, and yeah. The overriding point that I was trying to make during that presentation for which you’ve seen the slides is that there is probably a lot of really simple stuff that people can do to make their experiences so much better for their users. As I say, do some research. See what you can change. Even just upping your font size is going to make a hell of a lot of difference to a huge number of your readers. People often don’t realize how distressing an experience they’re having until they have a better one. I think that, as you say, you shouldn’t have to choose, it should be a no-brainer. Patrick O’Keefe: Yeah, that person was foolish. We didn’t really get along. Related to the whole persuasive design discussion, I was curious to hear what you thought of Twitter’s switch from favorites/stars to likes/hearts, and their rollout of it? Sarah Hawk: Right. It’s an interesting one from a UX perspective. We talk a lot about cohesion and mental models, and the limited cognitive load, so essentially, using information that people have already learned from other sites. From their perspective, what Twitter’s done makes absolute sense. They’re using an already well-known and well-recognized term, but to be fair, it was well-known and well-recognized as it was, and I’m not necessarily sure that the change needed to be made. As far as their rollout goes, I can’t really comment. I’m such a limited Twitter user these days, I’m ashamed to say. All I do is push out interesting content that I read, so I’m curious to hear what it is that your question is. As far as the rollout goes, what did they do? Patrick O’Keefe: The rollout was for most people: bam, it’s here. Patrick O’Keefe: For most people, that was the rollout. I just visited Twitter yesterday, and now I visited Twitter today, and this is different. Sarah Hawk: Okay, good, because that’s the experience that I had as well, and I thought, “Oh, no. Have I missed something that is … ” Yeah. Patrick O’Keefe: Yeah, I’m not a super baller influencer with a million followers, so I’m sure there was a class of user that got it early, but yeah. I wasn’t in that class. Sarah Hawk: Yeah, I do have an opinion on it, because as opinionated as I am about great user experiences, I’m similarly opinionated about great communication, and I think that that’s one of the skills that a really good community manager has, the ability to preempt problems, the ability to communicate in such a way that people feel comfortable no matter how they consume your platform. I think the key to it, as well as being clear and concise, is to make sure that people realize that while you’re communicating, and while you’re possibly eliciting feedback, ultimately it’s your decision to make. You’re just, essentially, comes back to just trying to create a really good experience for people. Yeah, I can’t see the downside to communicating. Haters are going to hate, regardless, but they’re going to hate whether you communicate with them or not. If you’ve made the decision to do something, you might as well let people know ahead of time. Patrick O’Keefe: Yeah. I don’t even know if there’s a trade secret in there. I don’t know if that would’ve let the cat out of the bag. “We’re getting hearts, everyone.” I don’t know if that was going to be a big deal, and when it happened, I was kind of two thoughts. First of all, I feel like there was an established behavior with Twitter users, of how they use favorite stars, and it’s not hearts. For me, likes and hearts aren’t … I don’t know. Maybe I’m just wrong, and wrong-headed, but I didn’t associated hearts with like. I associated hearts with love, but I get it. Instagram has hearts. I get it, there’s a meshing of the meaning of that term, but favorite star was, I acknowledge this. Often times, I call it the conversation buttoner, because when people do it, I know that the conversation is over. I shouldn’t reply anymore. It’s over now. It’s an acknowledgment, and also it’s a bookmark, and sometimes it’s a like. Now it’s a heart. Now everything’s a like, and I get … Again, we talk about the economy of choice, and you don’t want to throw too many options at people, so maybe they didn’t want to add a new option alongside, but that felt weird to me. The other side of it is, people will go on and use it how they want. It doesn’t matter what Twitter says. People will go back to using it, so does it really matter, and I think it’s been proven that people have done that anyway, but still. That didn’t sit right with me, that first part, for some reason. Sarah Hawk: Do you think that their intention was to change the way that people were using the feature, or was it to align it more with models that we already know, so Instagram, as you say. Patrick O’Keefe: I think it was both, and there was a blog post made by Chris Sacca, who is a Twitter investor, and he made some points. This was before they made the change, but obviously he has some influence over there, and he felt favorite was too strong of a word. Favorite was a superlative, and he says it implies a ranking. He felt that it scared people away from using it, and again, going back to your other point is, yes, I think they’re also mirroring Instagram. He mentions that hearts are this bigger gesture. He cites Periscope, for example, Periscope’s unlimited heart repetition has elevated the social feedback loop to a mindblowing new level. That’s his words. I don’t know that I share his perspective exactly, but I get what he’s saying, so I think it is both. I think he specifically either retweeted or shared that usage of that feature was up, I don’t know, 9%, a month after, or a week or two after, which again, might just be people clicking it to see the animation. Yeah, so I think it’s both, for better or worse. Sarah Hawk: Right. I’ll tell you what. I wish that I was in a position that my platform was so amazing that I had time and money to spend on changing a star to a heart. Patrick O’Keefe: Don’t forget the designer who made that nice and amazing animation. I clicked it a few times myself, just to see that it’s cute. Sarah Hawk: You’re part of the 9%. Patrick O’Keefe: Yeah, I’m part of the 9%. I’m flying into the data game. 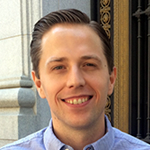 Patrick O’Keefe: Part of the whole persuasive design thing is, of course, onboarding, and leading people to the destination in the simplest way possible. It makes me think of gamification, in some way. A friend of mine, Michael Kimsal, recently went to a support forum. I think it was for a pretty good sized company. He asked for help. He received an email shortly thereafter, and he was hopeful that it contained his solution. He opened it, and instead, the email informed him that he had earned his first post badge. He found that pretty frustrating, and it reminded me of how haphazard gamification can do more harm than good. Is that something that you find? Sarah Hawk: Yeah. I agree. I agree with you. I’ve spoken about it a little bit lately. We’ve turned most of the badges off on our platform. Rich recently spoke about a similar subject. I think he was talking about TripAdvisor, and I think his story was something along the lines of the fact that he’d made one review once, and when he goes into his TripAdvisor profile, he’s got about 20 badges. The value of each of those badges is obviously zilch, because if you’ve only got to make one post to get all of those things, then you haven’t had to do very much work. Yeah. I think the gamification is, well, I don’t think. We all know that gamification is a hugely complicated field, and yeah. I agree with you. I think that you’re better having nothing than a badly designed, or a badly considered, system. While it definitely has a role to play, I think you’ve got to consider your audience, and in a support community, that’s slightly confusing, because your audience is theoretically so much more varied than it is in a community of practice. Especially if it’s a product support community, your teenage user might be stoked with a couple of badges, but I imagine that your busy professionalist is frustrated at that extra email. Yeah. Patrick O’Keefe: Yeah. My dad wouldn’t care about badges, knowing my dad. I don’t think he would care about badges. The thing about that, with that TripAdvisor thing though, if one post gets you 20 badges, just imagine what two posts would get you. Sarah Hawk: It’s crazy stuff. Patrick O’Keefe: Resume-worthy. Sarah, it’s always a highlight when I speak with you. Thank you for coming on the show, and where can people find you online? Sarah Hawk: People can find me online on Twitter, @ilovethehawk, or they can find me on FeverBee. Patrick O’Keefe: Excellent. This has been Community Signal. To subscribe to the show, or share your thoughts, please visit communitysignal.com. We’re a new show, so if you like what you hear, I’d be very grateful if you shared it with others. Community Signal is produced by Karn Broad. I’m Patrick O’Keefe, and we’ll see you next time.